Wes Anderson has explored the ocean's depths in the nautical "The Life Aquatic" and voyaged by train through India in "The Darjeeling Limited," but the director has another place still to explore – the final frontier. "I'd like to do a movie in space," Wes told AccessHollywood.com on Friday at the Hollywood premiere of his latest film, the animated Roald Dahl adaptation "Fantastic Mr. Fox." "If possible I would like to try to actually shoot some of it on location in space. That's my preference." While a sci-fi film won't be his next project, he said his "Fox" follow-up will be an original idea. "The next thing, I have an idea for something that's just my own," he said. "But I would like to do more adaptations. It's nice to reach a point in the story and say, 'What happens in the book?' and you can just look in that and get your answer." And though previous films by the writer-director, such as the dysfunctional, drug-filled family dramedy "The Royal Tenenbaums," have been aimed at adults, he said he set out to make one for children with "Fantastic Mr. Fox." "Some of my favorite children's films are ones that I still like to watch myself," he said. "It's a children's film, it's based on a children's book that I've loved all my life and it's talking animals. But I do think it should work for all ages." "Fantastic Mr. Fox" has earned strong reviews so far, currently holding a whopping 91 percent rating on RottenTomatoes.com. 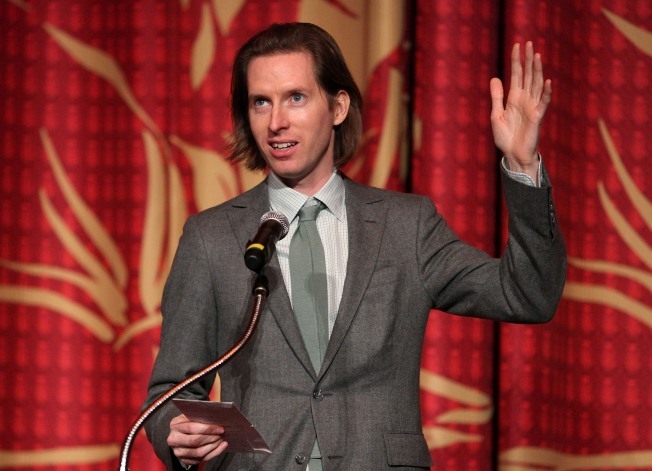 It's his second script collaboration with writer-director Noah Baumbach, who also co-wrote "The Life Aquatic," but Wes said he'd also love to pen another with "Royal Tenenbaums," "Rushmore" and "Bottle Rocket" co-writer (and sometimes-star) Owen Wilson. "Yes," he said, blaming the star's schedule for their lack of recent collaborations. "Owen is not always available. He's very busy being a full-fledged movie star." Another full-fledged movie star, George Clooney, is the voice of "Fantastic Mr. Fox's" title role, making it a packed fall for the actor – he'll appear in the flesh in upcoming movies "Up In The Air" and "The Men Who Stare At Goats." "Not much we can do about that," Wes joked. "We're the only animated one."